Server vs cloud: which is your hotel management system solution? Many industries are introducing more systems created on ‘the cloud’ and the hospitality one makes no exception. But what is the cloud and are businesses missing out? The aim of this article is to explore the two main options available to business owners: locally-based systems hosted on a server and cloud-based systems hosted on the internet. Which one to choose? Server-based systems present a huge advantage, as they do not rely on an internet connection. Many companies offering server-based systems have worked together with hoteliers, with the scope of improving their software solutions. For example, Amadeus has been developing hospitality software for the past 20 years. Their new system, called Amadeus IDPMS, can manage large amounts of data within minutes: from accessing guest data to downloading multiple extensive reports. On the other hand, cloud-based systems are completely reliant on the internet. Using them is as simple as checking your e-mail: the manager is provided with secure and unique log in credentials and can monitor the property anywhere and anytime, as long as there is an internet connection. However, it is much harder to choose a cloud-based system simply because of the wide choice in the market. Many systems offer a large amount of features but are missing the main purpose, which is to be functional. No matter how many other extras are offered, the system should allow you to manage the most basic tasks of an everyday routine. The Mews system, for instance, is focused on functionality and user friendliness, while requiring minimal employee training time. This system also offers other convenient features, such as, importing data reports, a smooth six step booking engine and an online check-in option. The most important factor when choosing between a server-based or a cloud-based system, is the size of the hotel. Cloud-based systems are best suitable for smaller establishments. They offer a monthly payment plan and can easily manage the daily routine of a small hotel with a tight budget. Yet larger establishments require a server-based system inside their premises. This allows for a more efficient data management process and increased speed. No matter the choice, both category systems can increase a property’s overall efficiency, when selected accordingly. 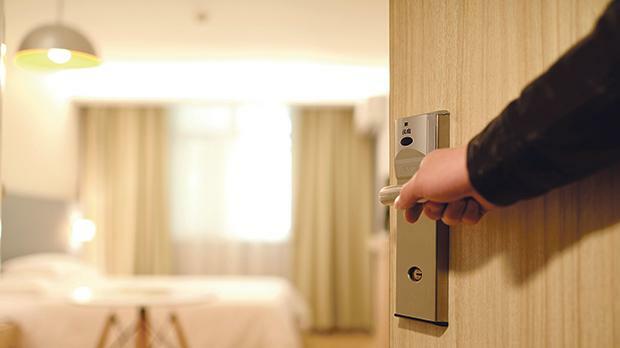 The key is to choose a system that will simplify the daily tasks of managing a property and employees, making it easier to deliver a pleasant stay for the guest. Laine Tiltina is marketing and sales executive at Progressive.